As cities plan for the future, many are asking how best to manage their urban landscapes. The Vibrant Cities Laboratory (VCL) has set out to empower municipal leaders, planners, and managers with a one-stop-shop for resources on urban forests and how to maximize their many benefits. The VCL’s urban forestry resource toolkit—designed by the USDA Forest Service, American Forests, and the National Association of Regional Councils—builds individualized plans for cities to Assess, Prioritize, Organize, Plan, Build, and Sustain their urban forest resources. 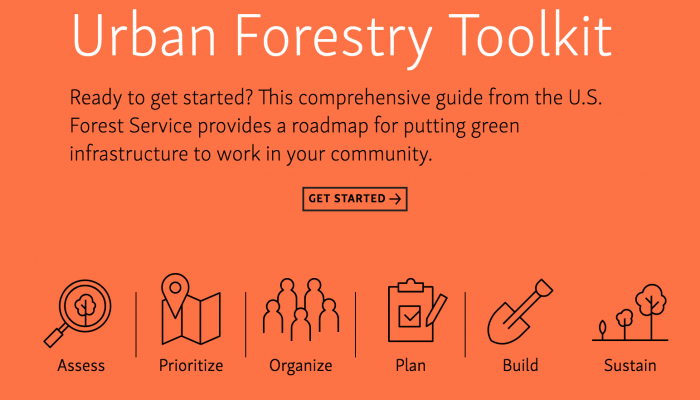 According to Ian Leahy, the director for urban forest programs at American Forests, the toolkit offers substantially more than a simple guide: it acts as a conglomerate of resources, many of which would take considerable effort to track down without VCL. The toolkit summarizes the research of leading scientists on urban forestry, links to the original studies, and provides best management practices and real-life examples of cities implementing urban forest strategies. In turn, VCL is helping foresters, city managers, and lawmakers discover how their urban forestry plans measure up, and what next steps they might take to improve their programs (see Step 17 of the toolkit for measuring preparedness and locating resource deficiencies). By prioritizing user experience above all else, the VCL team is helping towns and cities access information to help solve urban forestry issues—a mission NASF and the state forestry agencies it represents fully support. Josh Knoll is NASF’s 2019 Spring James Hubbard Intern for Policy and Communications. He can be reached by email at intern@stateforesters.org.